This gift pack is the perfect present for Christmas or that upcoming baby shower. 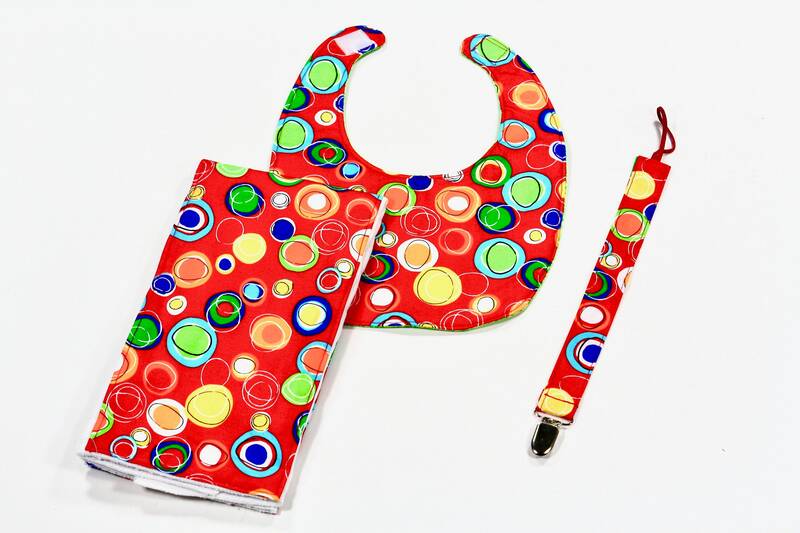 It combines a bib, burp cloth and pacifier leash in matching patterns. Care is easy. Just machine wash in cold water on the delicate cycle. Then air dry or tumble dry on the lowest setting in the dryer. All items from Childtime Creations are made in a smoke free and pet free environment.